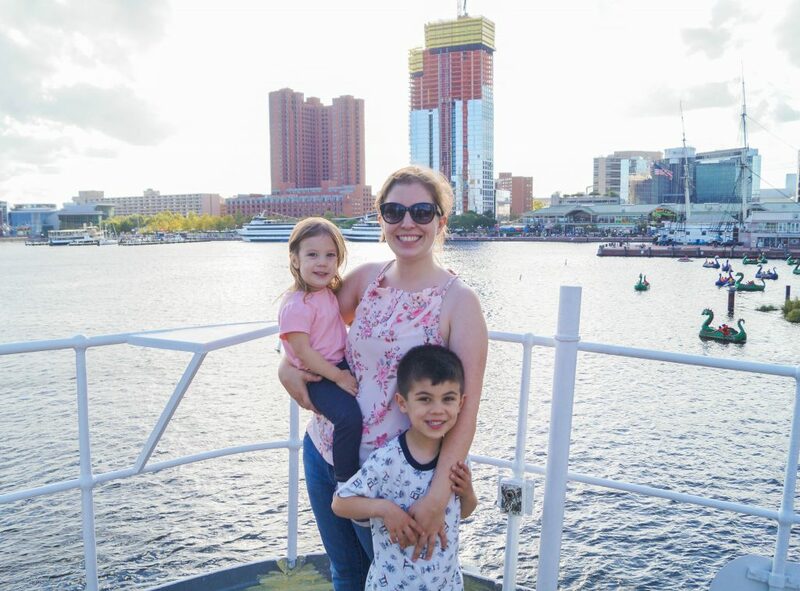 A couple of weeks ago, we spent three days visiting Baltimore, Maryland and I will be covering our experiences in a series of three blog posts. 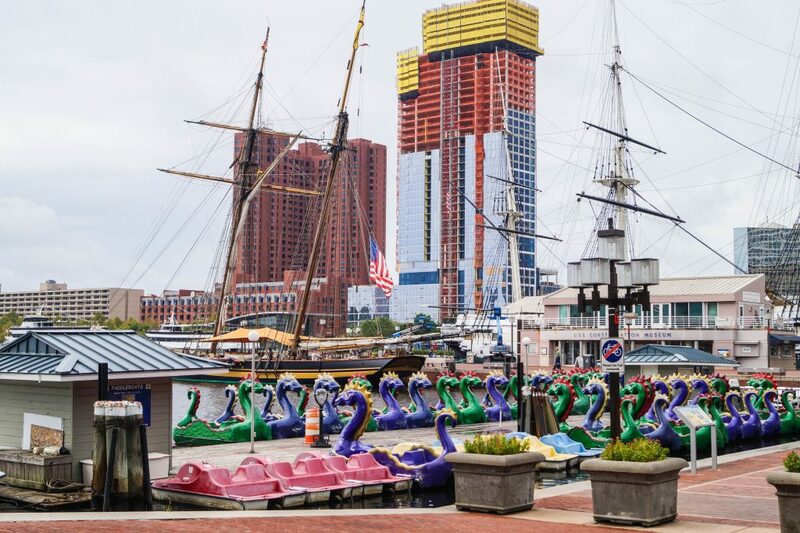 Today, I am highlighting our time spent at Port Discovery, in Baltimore’s Inner Harbor, and will also be sharing a recipe for Chocolate Covered Pretzel Hot Chocolate. 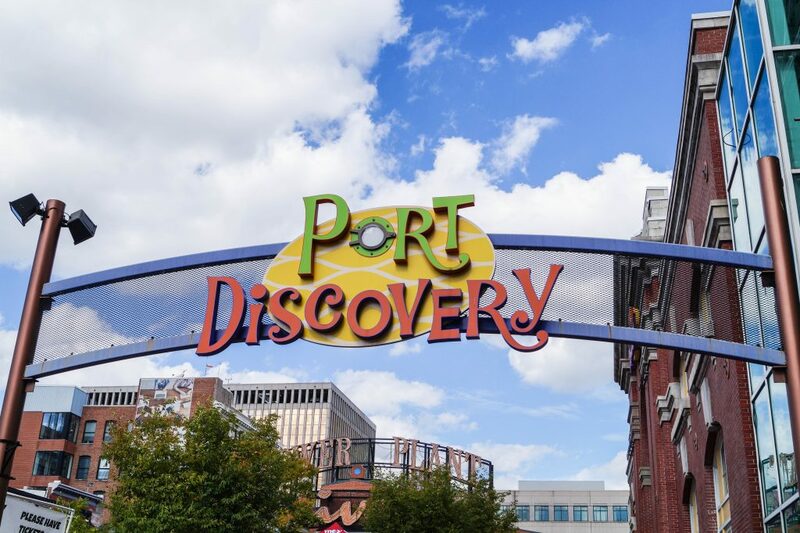 Disclosure: I received tickets to Port Discovery and a VisitBaltimore VIP pass which included access to the Historic Ships in exchange for my honest review. All comments and opinions are my own. In an effort to avoid the DC weekend traffic, we left early on Saturday morning for the short, just a little over an hour, drive to Baltimore. Our first stop was the hotel, the Courtyard Baltimore Downtown/Inner Harbor in Harbor East, to drop off the car. Our room just happened to be ready, so we also did a quick check-in before leaving for breakfast. We walked to Miss Shirley’s Cafe for breakfast before visiting Port Discovery. Miss Shirley’s Cafe has three locations in Maryland: Their flagship in Roland Park, Baltimore; the one we went to on E. Pratt Street in Inner Harbor; and a third in Annapolis. They have been featured on the Food Network and are known to get quite busy. Reservations are not accepted, but I did call the restaurant before we started walking to check on the wait times to make sure it wouldn’t be too long with Evan and Claire in tow (wasn’t long at all, only about 10 minutes). The earlier you arrive, the better-particularly on weekends. Chad and I started our meal with cocktails. I loved the variety of options. I decided on the Chocolate Covered Pretzel Hot Cocoa, while Chad had the Winter Bourbon Smash. We also enjoyed the Strawberry Chocolate Cheesecake Bites (Claire ended up taking most of these), Crab Happy Chesapeake Chicken Sammy, and B’more Breakfast Trio of Sliders (Pulled BBQ Pork with Chesapeake BBQ & Cheddar Cheese; Bacon & Cheddar Cheese; and Spinach, Roasted Red Pepper & Goat Cheese). The kids had the Plain Bagel with Cream Cheese and Mini Belgian Waffles served in bento boxes. Crayons were also provided with the kids’ menus and we saw some older children at nearby tables with Etch-a-Sketches. Everything was incredible. We actually ended up skipping lunch after Port Discovery since we were all still full from breakfast. The highlight of our day was definitely Port Discovery. 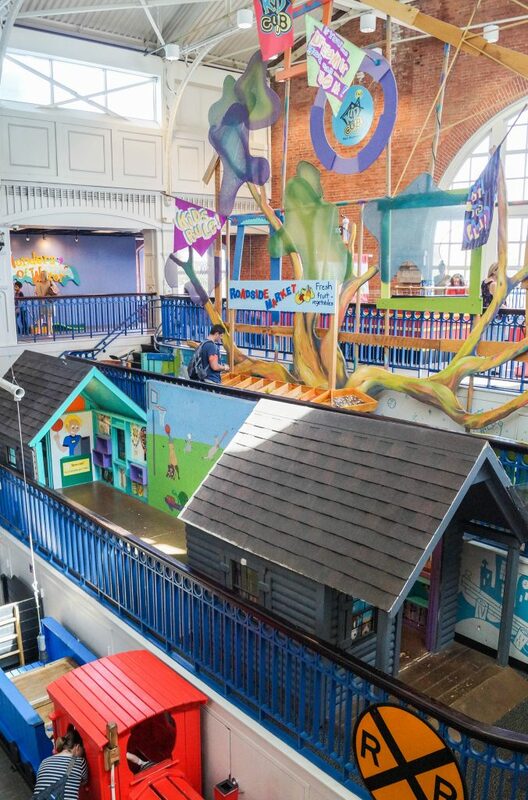 Port Discovery Children’s Museum is located on Market Place just north of the harbor and Miss Shirley’s Cafe. 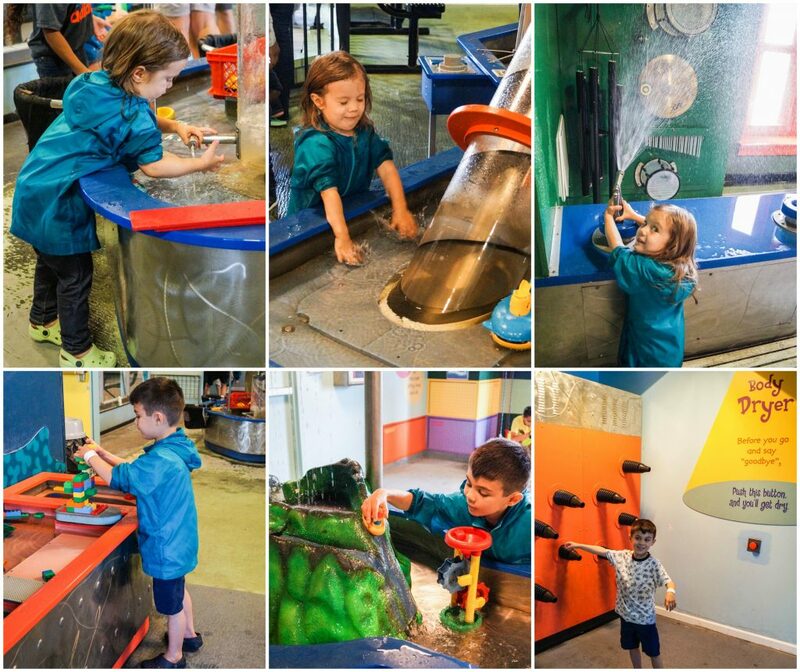 It features three levels of play-based exhibits perfect for children from 2 to 10 years of age. Check out the hours and ticket information here. We walked to the museum, but validated tickets are available for the adjacent Harbor Park Garage (ask when entering or exiting Port Discovery). We spent about 3 hours exploring the museum, but could have stayed even longer. Allow for at least 2-3 hours. All three levels are wheelchair accessible and stroller friendly. We opted to park our stroller on the first floor in the designated area. Be sure to wear closed-toed rubber soled shoes. 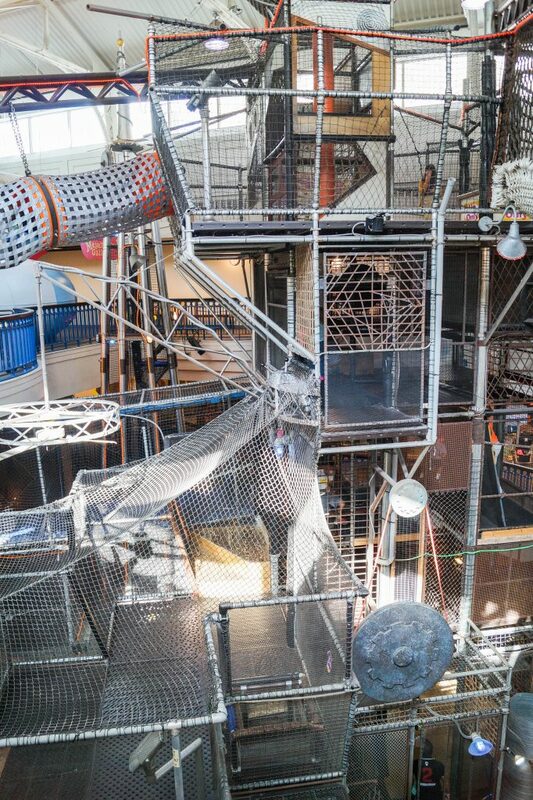 The first thing I noticed when walking into Port Discovery was the massive KidWorks three-story treehouse going all the way to the top of the museum. Claire was a little young, but Evan especially had a blast here. He loved going across the narrow rope bridge, climbing through the “pipes,” and going down the big slides. This section is recommended for those 5 and older and sneakers must be worn. Claire’s first stop was the Royal Farms Convenience Store and Fill’er Up Station. She spent her time picking out and arranging groceries with her shopping basket while Evan enjoyed gassing up and filling the tires of a VW Beetle. Next door in the MPT Studio, Evan was able to experiment with different music and sounds on a variety of textures and percussion instruments. 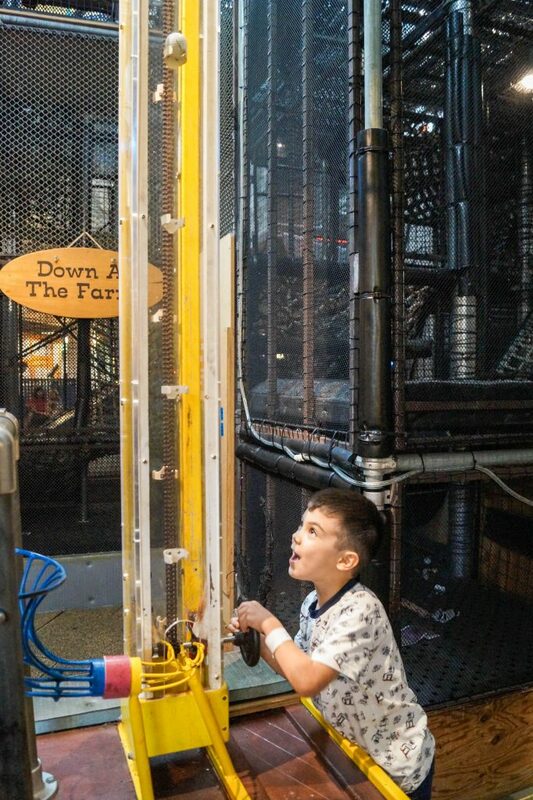 Evan said his favorite part in all of Port Discovery was sending the golf balls up through the pipe in this contraption on the bottom floor of KidWorks. It was a little hidden in the back corner, so there weren’t as many other kids around and the perfect spot for him to take a break from all the people. He kept running back here between all the exhibits. Claire found some spots made just for her age group as well. Tot Trails (photos above on the left) is perfect for infants and toddlers. There are hands-on activities to help develop gross motor skills, a sand area, Mountain Trail and Paw Paw Tunnel, puppets, and more. Claire was especially fond of the turtle in the open play area. The Oasis (photos above on the right) is a quiet room on the second floor for families with children 6 and under to take a break. Claire enjoyed the train table and brushing rocks. There are also books, games, and other activities. Tiny’s Diner was another favorite. 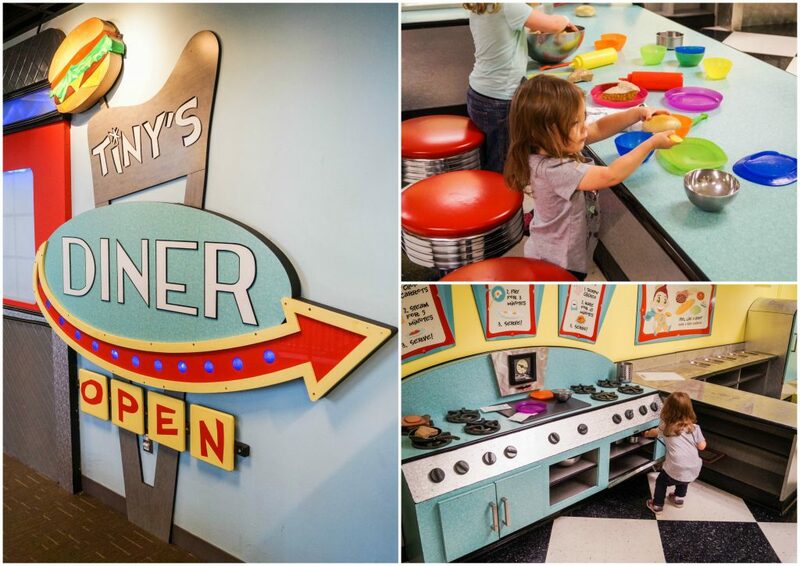 This 50’s style diner, includes booths, counter seating, and a large kitchen for meal prep. Both kids enjoyed the Wonders of Water. Evan was able to build lego boats and test their floating ability. He also learned about currents while manipulating and redirecting water. Claire loved spraying water at musical instruments to create all kinds of fun sounds and play with the smaller boats. I appreciated the availability of jackets and many sizes of crocs to help keep the clothes dry no matter how heavily they played in the water. When all done, a body dryer is also available to dry everything else. Evan said it was like the dryer on a car wash. Even with the jacket, Claire still managed to get most of her shirt soaked, probably thanks to the fountain and spray section. A change of clothes is recommended. Note: This exhibit is closed on Tuesdays for maintenance. 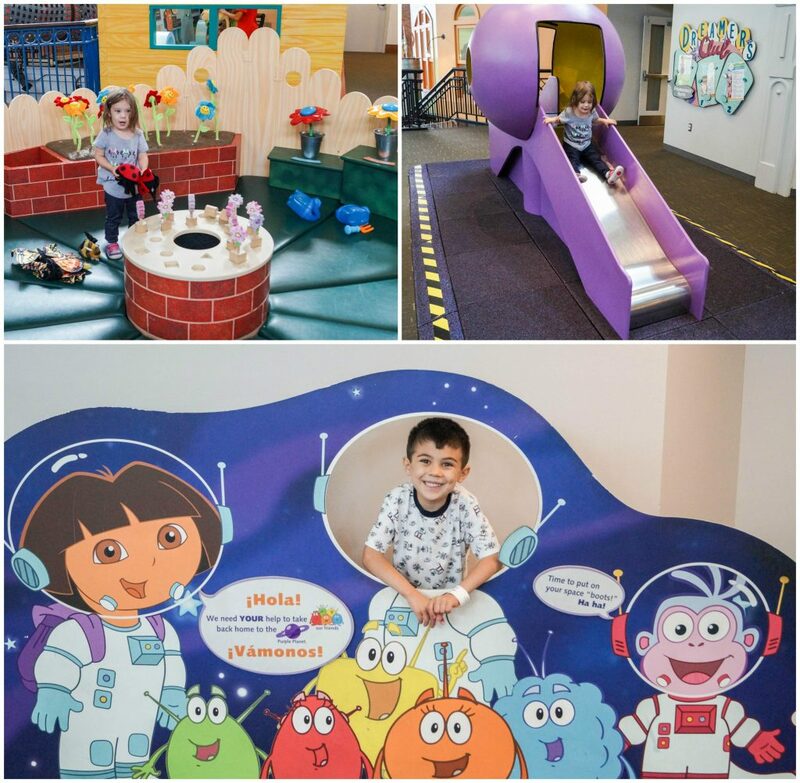 The current featured exhibit is Nickelodeon’s Dora and Diego – Let’s Explore! It is available until February 19th, 2018. We found a little bit of everything here: a Rainforest Maze, Pirate Ship, Rocket Ship, Animal Rescue Center with stuffed animals to care for, Isa’s Garden with puppets and blocks, Purple Planet Slide, and more. Special events are held throughout the year so be sure to check the calendar before your visit. There are also a variety of programs for those with special needs. 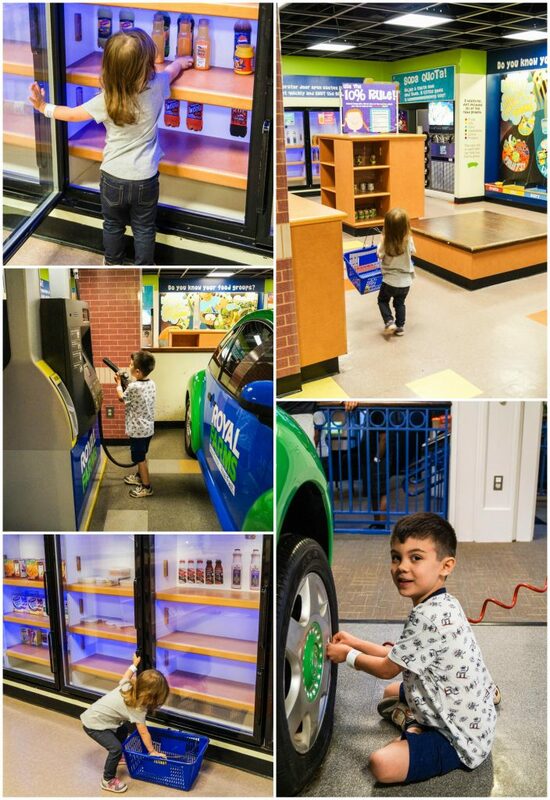 We had such a wonderful visit to the Port Discovery Children’s Museum. I only wish it was closer! 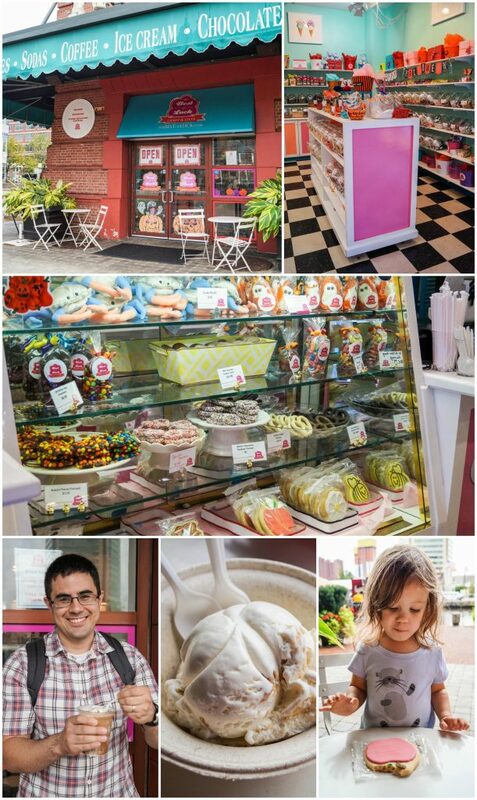 The Best of Luck Candy & Ice Cream is located in the Inner Harbor at the beginning of Pier 4 on E. Pratt Street. The shop features old-fashioned candy bars, chocolates and truffles, gourmet pretzels, popcorn, coffee from Zeke’s Coffee, ice cream from Taharka Brothers, and gifts. There are a couple of tables just outside along the water to enjoy your sweet treats. We stopped by here on our last day since it was just across from the National Aquarium. The cheesecake ice cream was quite delicious. Evan picked out a chocolate covered pretzel and Claire had an apple cookie. Chad enjoyed a coffee mixed with peanut butter cup ice cream. 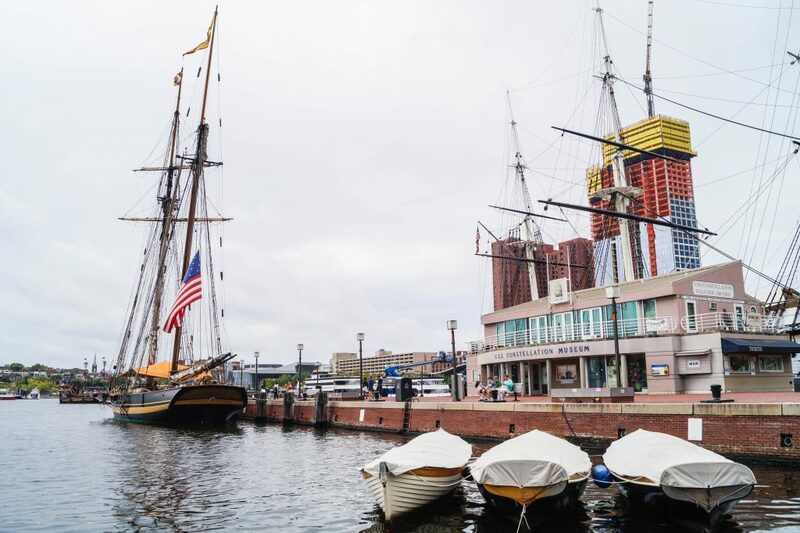 After Port Discovery, we took a quick swim break at the hotel to refresh before walking back to the Inner Harbor to explore the historic ships. 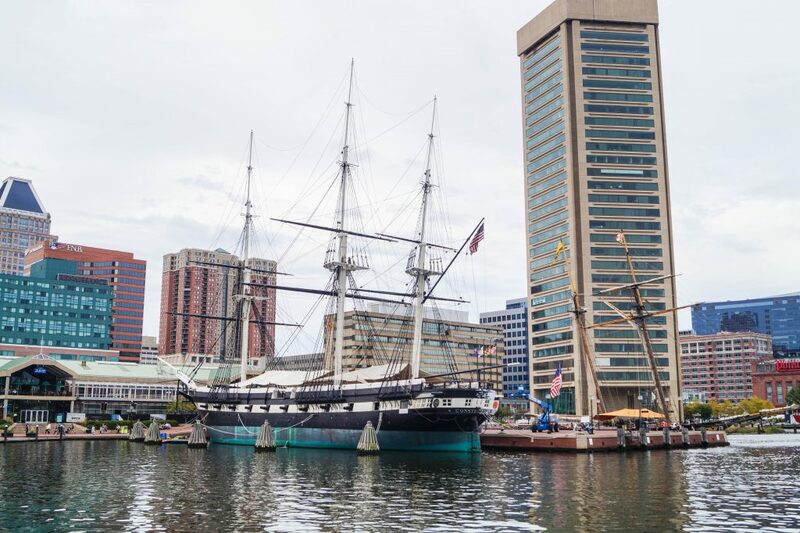 Four historic ships are docked along the Inner Harbor: the USS Constellation, USCGC TANEY, USS TORSK, and LV116 Chesapeake. We had time to visit a couple of the ships before closing (and went back to see a third the next day). 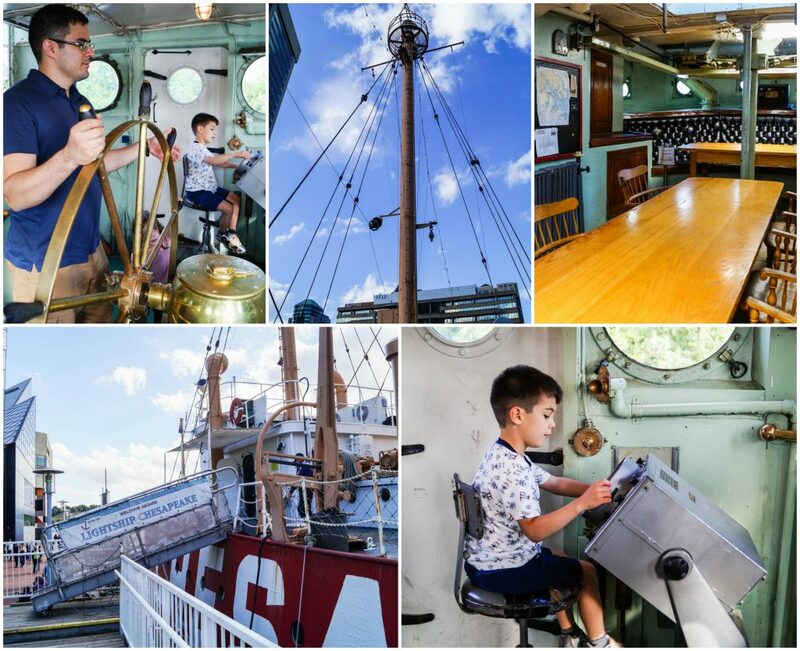 Tickets are available online or onsite (we picked up our tickets at the booth in front of the Lightship Chesapeake and they can also be found at the Ship’s Store next to the USS Constellation). They are valid for one year after purchase in case you don’t get a chance to see everything at once. Operating hours differ based on the season. The USS Constellation is docked at the first pier. 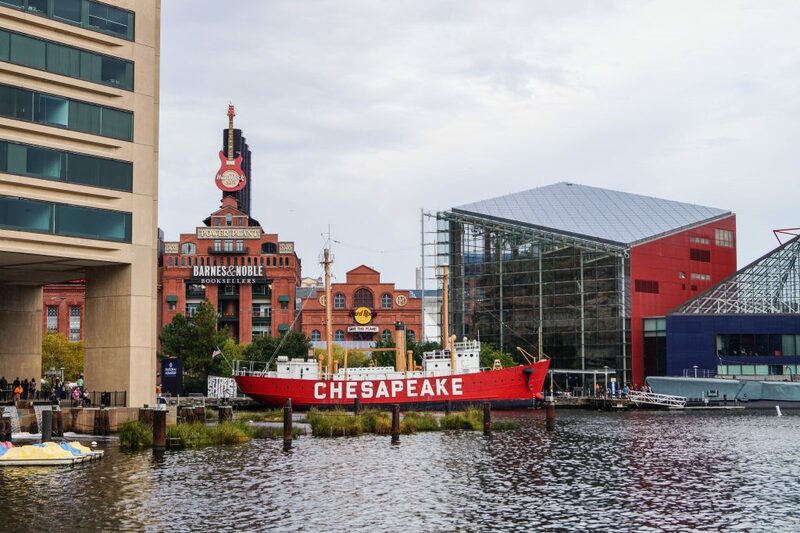 Built in 1854 at the Norfolk Navy Yard and commissioned on July 28th, 1855, she sailed for nearly a century before retiring in 1954 and later becoming a National Historic Landmark. 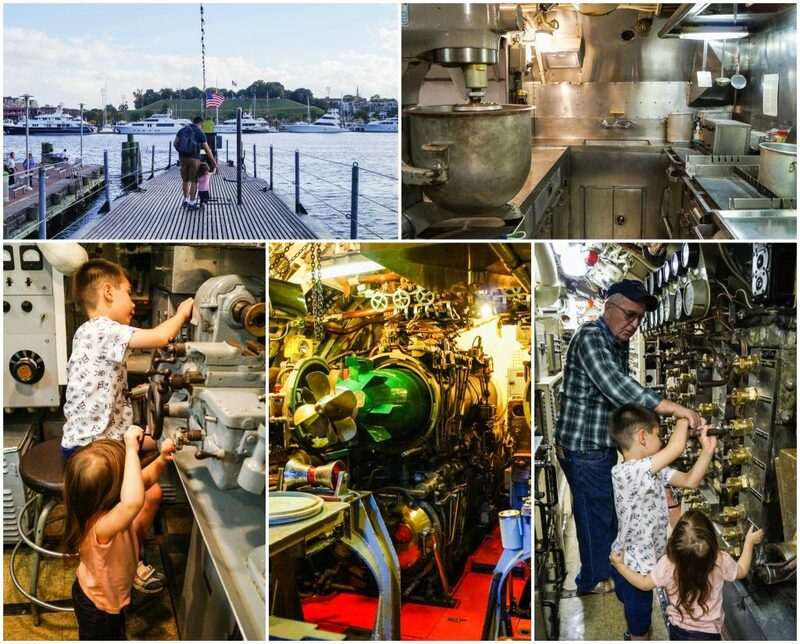 She was the last sail-only warship to be designed by the US Navy and her long service includes sailing with the Mediterranean Squadron, African Squadron, fighting during the Civil War, and working as a receiving ship during WWII. 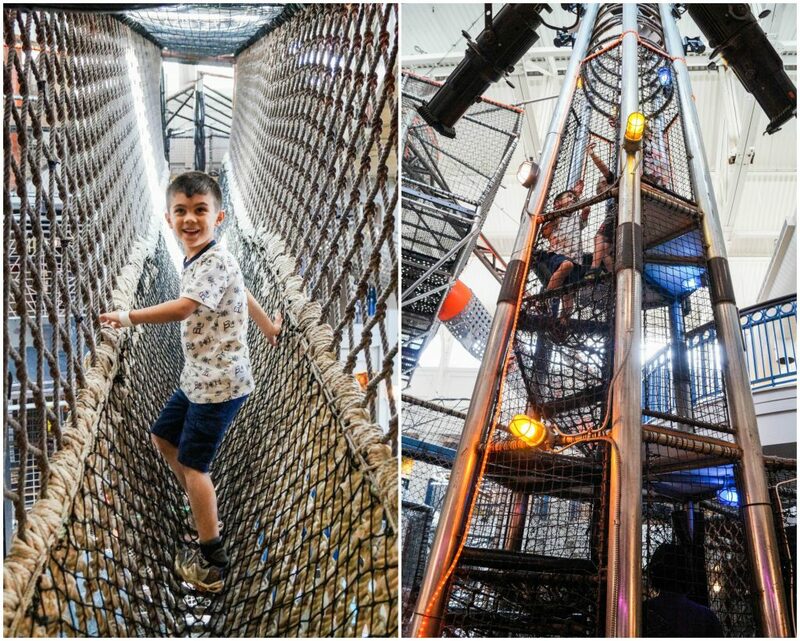 The kids especially enjoyed exploring the different levels and it reminded Evan of our trip to Het Scheepvaartmuseum in Amsterdam. 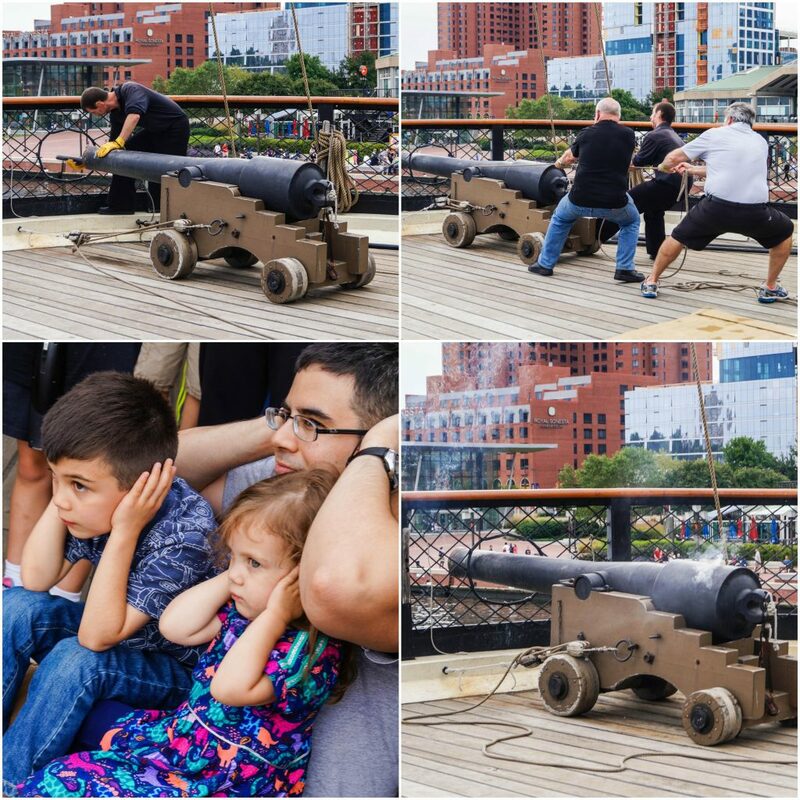 We just happened to be on the USS Constellation during the cannon demonstration (daily, weather permitting, at noon and 4 pm). No actual cannon is fired out, but gunpowder is used to simulate the blast. The Lightship 116 Chesapeake can be found at Pier 3 next to the National Aquarium. She was constructed at the at the Charleston Machine and Drydock Company in South Carolina in 1930 as a part of the US Lighthouse Service. The ship was equipped with an electric foghorn (later replaced by a compressed-air diaphone), radio beacon, fog bell, two 5,000-pound mushroom anchors, and each mast had a signaling apparatus consisting of a 13,000 candlepower electric beacon lamp. She has been a part of the Baltimore since 1982. Much of the ship’s career was spent guiding maritime traffic in and out of the Chesapeake Bay. Evan especially loved checking out all the equipment. The USS TORSK was commissioned on December 16th, 1944 from the Portsmouth Naval Shipyard. 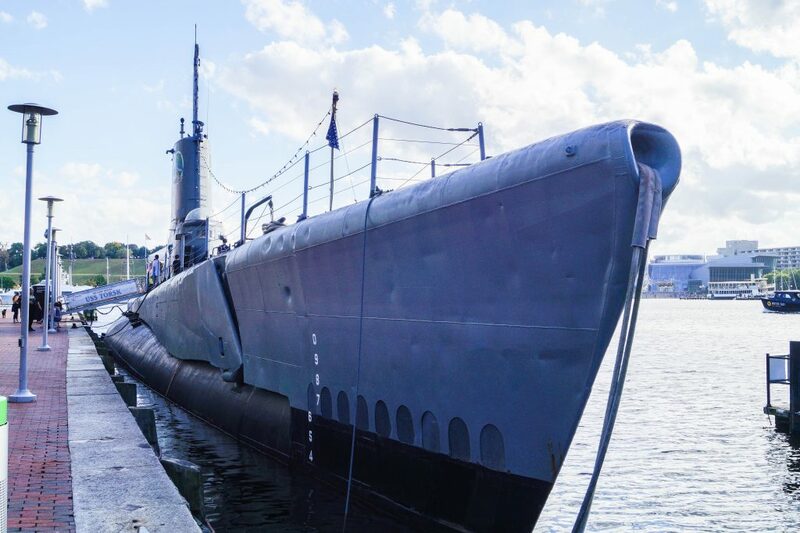 It was one of only ten Tench Class fleet type submarines to see service in World War II and had over 10,600 career dives. 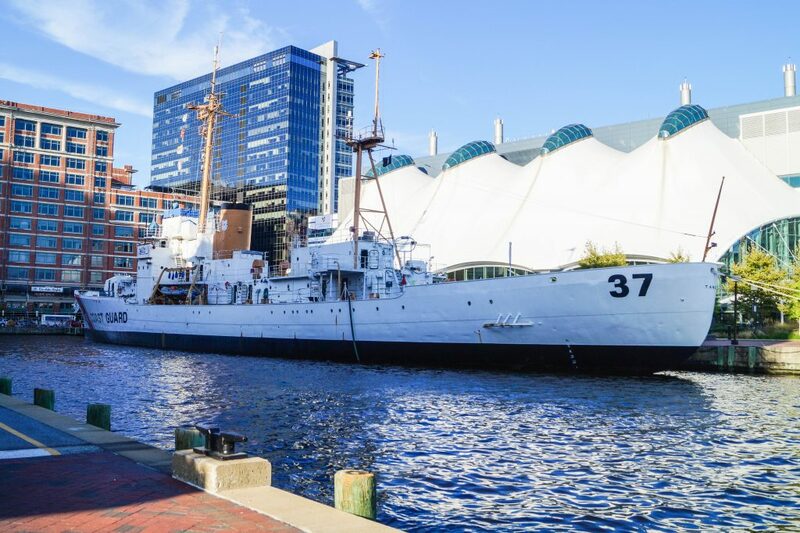 Following its service in the war, the USS TORSK alternated between working as a training boat and deploying in the Atlantic and Mediterranean before finally being sent to Baltimore in 1972. The USS TORSK was Evan’s favorite of the three ships we visited. I especially appreciated how the guide took the time to explain everything to Evan on his level and was so patient with all of his many questions. The one ship we didn’t get a chance to explore fully was the USCGC TANEY. The US Coast Guard Cutter TANEY is docked along Pier 5, just across from Barnes & Noble and Phillips Seafood. She was commissioned on October 24th, 1936 and was first assigned to Honolulu, Hawaii. 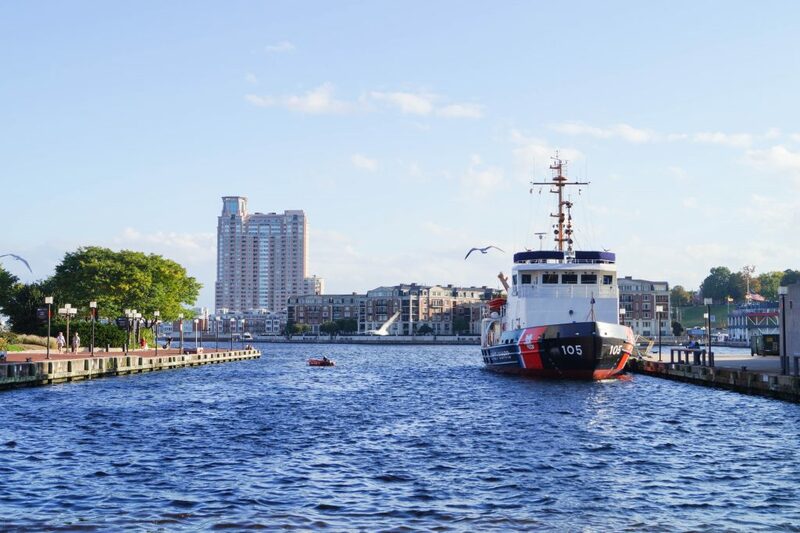 After over 50 years of continuous missions of law enforcement, search and rescue, maritime patrol, and wartime service, she was decommissioned at Portsmouth, Virginia on December 7th, 1986 and donated to Baltimore. The Seven Foot Knoll Lighthouse is located at the end of Pier 5. 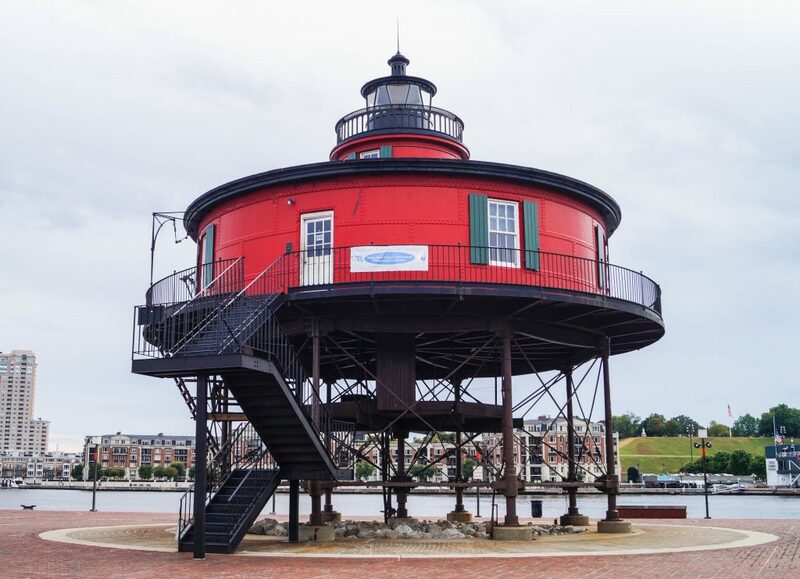 For over 130 years, it marked the entrance to the Patapsco River and Baltimore Harbor. 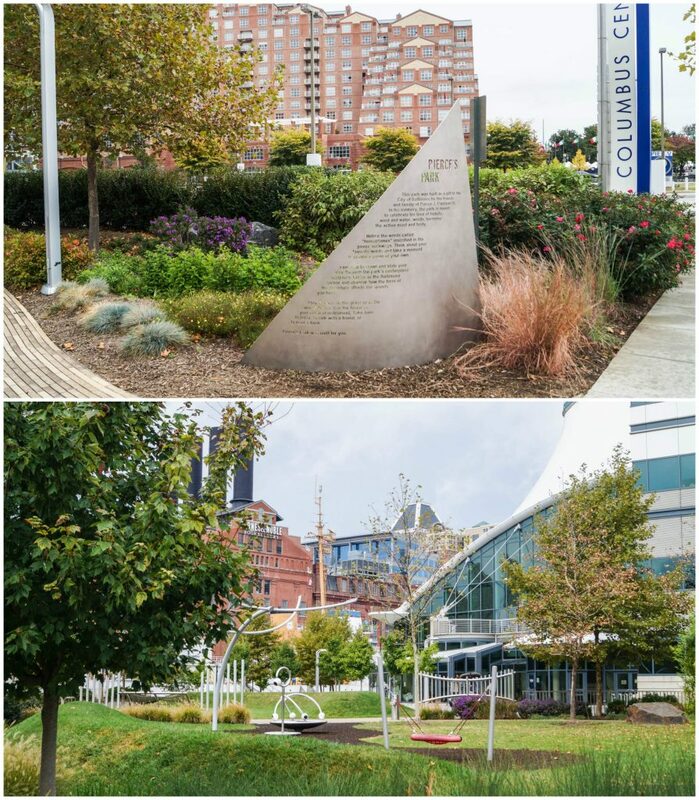 Pierce’s Park, located on Pier 5, is a unique place to let the kids run off some energy between museums, shopping, and restaurants. I loved the whimsical design. There are a few parks in the area, but the weather unfortunately didn’t cooperate for much of the weekend to let us explore them fully. We saw quite a bit during our three day weekend, but there is so much more the city has to offer. 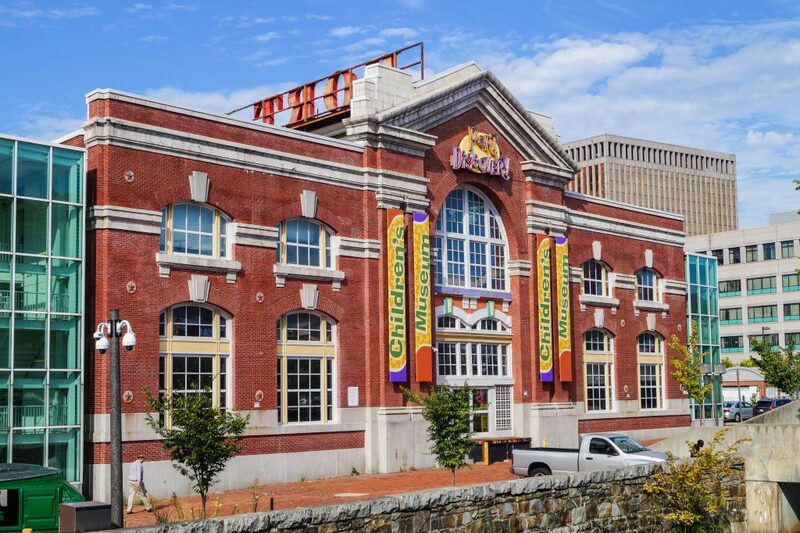 Other Inner Harbor attractions include Ripley’s Believe It or Not! Baltimore, Power Plant Live!, Team Chessie Paddle Boats and Electric Boats, Top of the World Observation Level, and The Gallery. Nearby Historic Jonestown also houses the Reginald F. Lewis Museum of Maryland African American History & Culture and the Star-Spangled Banner Flag House. Inspired by Miss Shirley’s Hot Cocoa Cocktail, I made a variation of the Chocolate Covered Pretzel Hot Chocolate at home. Mine is alcohol-free, but it can easily be spiked (21 years or older, please drink responsibly). Miss Shirley’s included a combination of Pinnacle Whipped Cream Vodka and Salted Caramel Vodka. For the base, I used The Best Hot Cocoa recipe from Beach House Baking and mixed in some of this homemade caramel sauce. I dipped the tops of each of the glasses in water, then rolled them in crushed pretzels to create the rim. 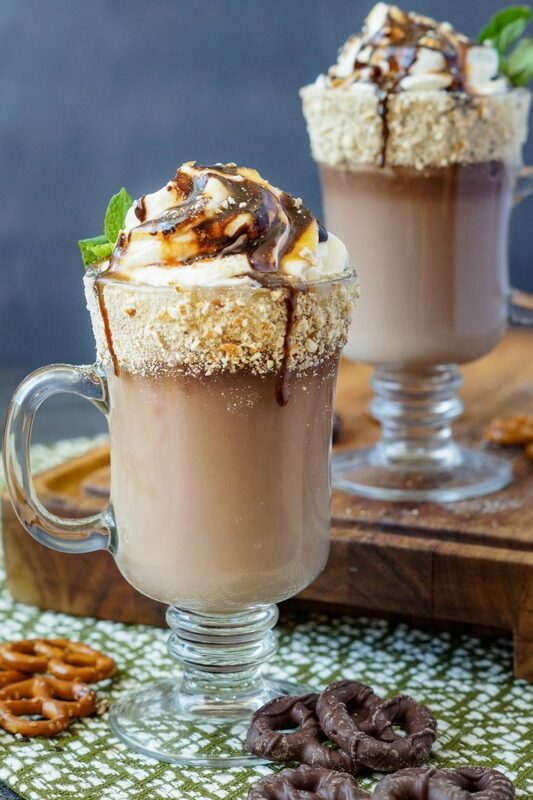 I then poured in the hot chocolate and topped with whipped cream, more caramel sauce, chocolate sauce, more crushed pretzels, and a couple of mint leaves. I especially love the creaminess found in this hot chocolate created by whisking the milk chocolate ganache into heated milk. You can put together everything at once or make the ganache ahead of time and store in an airtight container in the refrigerator until ready to assemble. If the salted caramel is too thick to drizzle over the top, microwave it just until thinned and smooth, 10-20 seconds. I quickly crushed the pretzels in a blender/food processor, but they can also be transferred to a plastic bag and beaten with a rolling pin or hammer into the desired consistency (great for days when you are especially frustrated). In a medium saucepan, bring the heavy cream to a simmer over medium heat, stirring often. Remove from heat and add the milk chocolate. Allow to sit for a minute, then whisk together until blended and smooth. Transfer the ganache to a bowl. Clean the saucepan, add the milk, and place over medium heat. Once the milk is heated and bubbles form around the edges, add the ganache and whisk until smooth and heated through. Whisk in the salted caramel. In a small shallow bowl, add the crushed pretzels. Dip the tops of each serving glass in a bowl of water, then coat in the crushed pretzels. Allow to dry and set briefly. Add the hot chocolate to each prepared glass or mug. 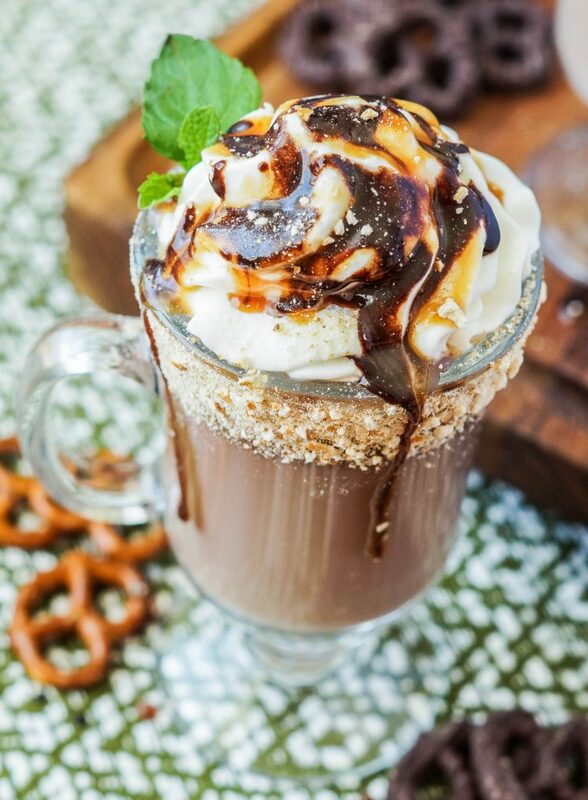 Top with whipped cream, chocolate syrup, salted caramel, more crushed pretzels, and mint leaves. Serve immediately. 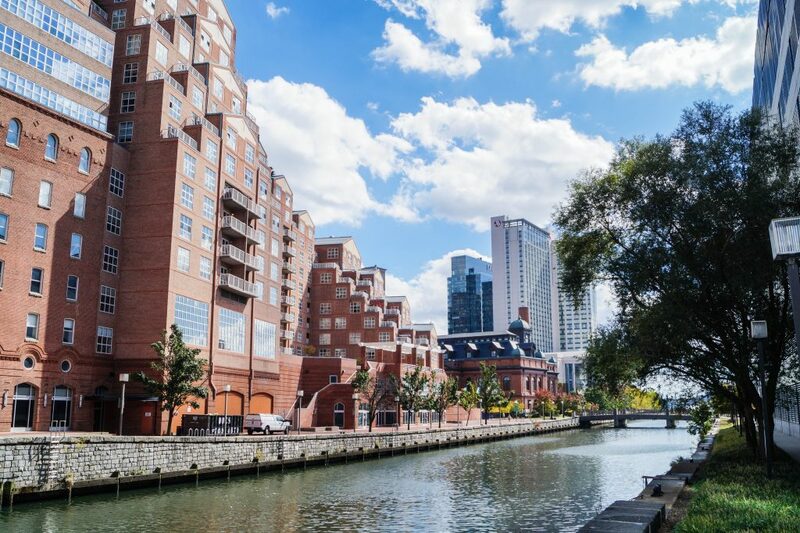 I haven’t been to Baltimore in ages — and it’s a great city! Looks like you found tons of fun stuff to do! What a great escape. 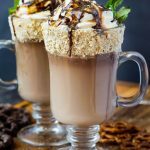 The hot chocolate looks amazing and so do the pictures from your trip! What interesting places you visited! Can’t wait to read more. Today’s weather in the Midwest is calling for hot chocolate. I love the presentation! So beautiful! Oh my gosh, that looked like a fun time! What a great place for the kids. I think I would have had fun there too! I was so excited by it that I forgot about the pretzel hot chocolate. YUM. Your recipe looks absolutely awesome!! OH. WOW. That hot chocolate looks DELICIOUS. Baltimore looks like a fun city to visit, too! I need to know why I am not consuming this hot chocolate right now. OMG! I’ve never been to Baltimore, but oh my goodness, what a fun-looking city! These photos are fantastic! and the food… yes, please! Looks like you guys had a really wonderful time. 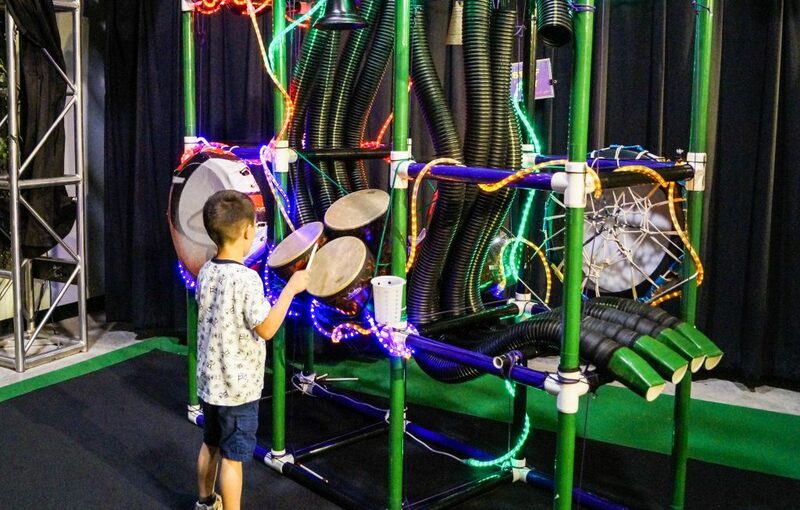 That Kidworks play area is just amazing! I don’t think I’ve seen anything like it! You guys looked like y’all had a great time! I used to go to Baltimore all the time up until I moved to Va about 2 years ago. I totally forgot about Port Discovery! I really need to take my kids there once it starts warming up again! Miss Shirley’s has some really good food. I love it. Oh my goodness this hot chocolate looks so good. And Port Discovery looks like so much fun. My toddler would love it there too! That child’s museum looks like so much fun! 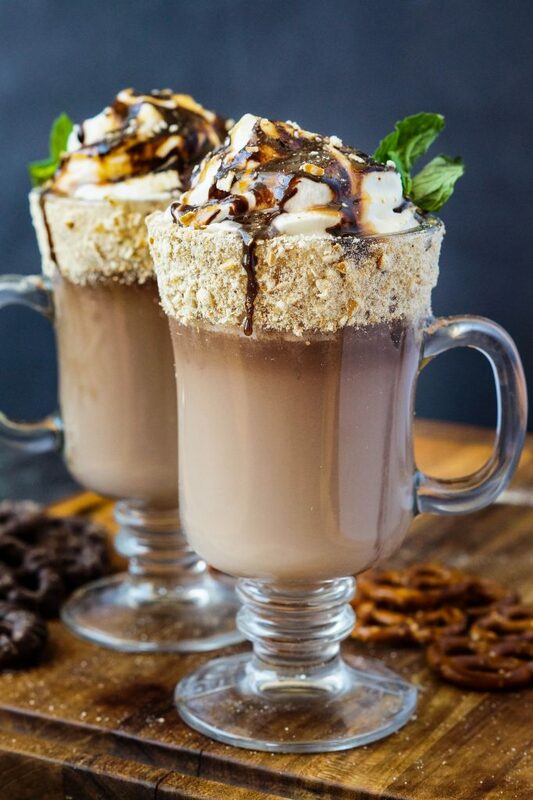 Oh, and that pretzel hot cocoa sounds heavenly! I never would have imagined the combination, but I don’t know why not. Chocolate and salty pretzels go perfect together. I love visiting new cities, everything is so new and exciting! 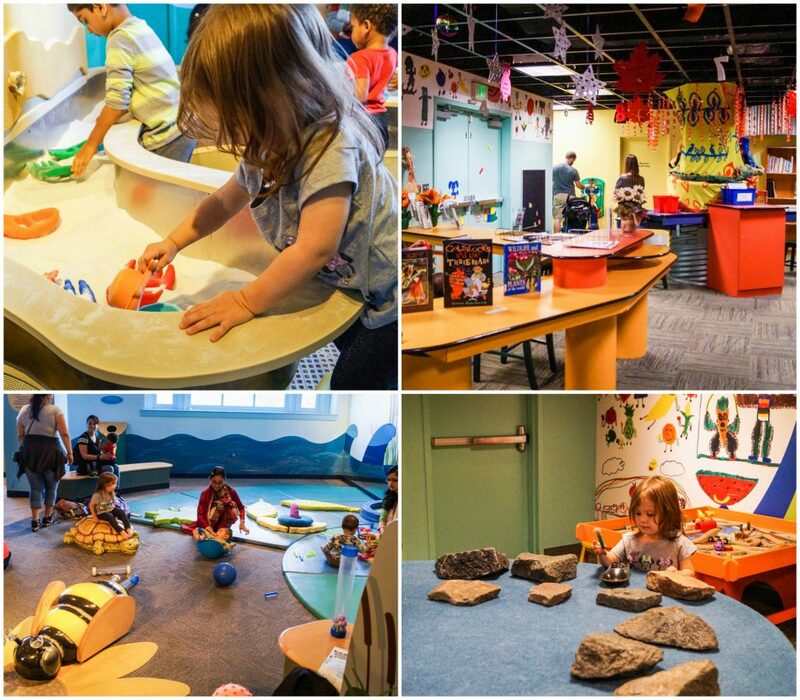 I’ve always been a lover of museums, I myself have a lot of fun at children’s museums! All of this makes me think that in less than a year I will have to start looking for new places to entertain my baby girl, can’t wait for all the fun! Holey socks, that hot chocolate! I’m not usually a hot chocolate drinker, but I think that one may just convince me! Thank you for taking us to Baltimore through this post and that hot chocolate, my goodness👍🏻! Port Discovery looks AMAZING!!! As does your famous hot chocolate.